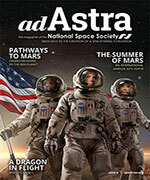 Beyond the Moon lies Mars, the next great step in humanity’s outward migration into space. Mars is hundreds of times farther away than the Moon, but it offers a much greater prize. Indeed, uniquely among the extraterrestrial bodies of our solar system, Mars is endowed with all the resources needed to support not only life but the development of a technological civilization. In contrast to the comparative desert of the Earth’s Moon, Mars possesses oceans of water frozen into its soil as permafrost, as well as vast quantities of carbon, nitrogen, hydrogen, and oxygen, all in forms readily accessible to those clever enough to use them. Additionally, Mars has experienced the same sorts of volcanic and hydrologic processes that produced a multitude of mineral ores on Earth. Virtually every element of significant interest to industry is known to exist on the Red Planet. With its 24-hour day/night cycle and an atmosphere thick enough to shield its surface against solar flares, Mars is the only extraterrestrial planet that will readily allow large-scale greenhouses lit by natural sunlight. Mars can be settled. For our generation and many that will follow, Mars is the New World. Here’s how the Mars Direct plan works. At an early launch opportunity, for example 2005, a single heavy-lift booster with a capability equal to that of the Saturn V used during the Apollo program, is launched off Cape Canaveral and uses its upper stage to throw a 40 tonne unmanned payload onto a trajectory to Mars. Arriving at Mars eight months later, it uses friction between its aeroshield and Mars’ atmosphere to brake itself into orbit around Mars, and then lands with the help of a parachute. This payload is the Earth Return Vehicle (ERV), and it flies out to Mars with its two methane/oxygen driven rocket propulsion stages unfueled. It also has with it six tonnes of liquid hydrogen cargo, a 100 kilowatt nuclear reactor mounted in the back of a methane/oxygen driven light truck, a small set of compressors and an automated chemical processing unit, and a few small scientific rovers. As soon as landing is accomplished, the truck is telerobotically driven a few hundred meters away from the site, and the reactor is deployed to provide power to the compressors and chemical processing unit. The hydrogen brought from Earth can be quickly reacted with the Martian atmosphere, which is 95% carbon dioxide gas (CO2), to produce methane and water, and this eliminates the need for longterm storage of cryogenic hydrogen on the planet’s surface. The methane so produced is liquefied and stored, while the water is electrolyzed to produce oxygen, which is stored, and hydrogen, which is recycled through the methanator. Ultimately these two reactions (methanation and water electrolysis) produce 24 tonnes of methane and 48 tonnes of oxygen. Since this is not enough oxygen to burn the methane at its optimal mixture ratio, an additional 36 tonnes of oxygen is produced via direct dissociation of Martian CO2. The entire process takes 10 months, at the conclusion of which a total of 108 tonnes of methane/oxygen bipropellant will have been generated. This represents a leverage of 18:1 of Martian propellant produced compared to the hydrogen brought from Earth needed to create it. Ninety-six tonnes of the bipropellant will be used to fuel the ERV, while 12 tonnes are available to support the use of high-powered, chemically fueled long-range ground vehicles. Large additional stockpiles of oxygen can also be produced, both for breathing and for turning into water by combination with hydrogen brought from Earth. Since water is 89% oxygen (by weight), and since the larger part of most foodstuffs is water, this greatly reduces the amount of life-support consumables that need to be hauled from Earth. The propellant production having been successfully completed, in 2007 two more boosters lift off the Cape and throw their 40 tonne payloads towards Mars. One of the payloads is an unmanned fuel factory/ERV just like the one launched in 2005, the other is a habitation module containing a crew of four, a mixture of whole food and dehydrated provisions sufficient for three years, and a pressurized methane/oxygen driven ground rover. On the way out to Mars, artificial gravity can be provided to the crew by extending a tether between the habitat and the burnt out booster upper stage, and spinning the assembly. Upon arrival, the manned craft drops the tether, aerobrakes, and then lands at the 2005 landing site where a fully fueled ERV and fully characterized and beaconed landing site await it. With the help of such navigational aids, the crew should be able to land right on the spot; but if the landing is off course by tens or even hundreds of miles, the crew can still achieve the surface rendezvous by driving over in their rover; if they are off by thousands of miles, the second ERV provides a backup. However assuming the landing and rendezvous at site number one is achieved as planned, the second ERV will land several hundred miles away to start making propellant for the 2009 mission, which in turn will fly out with an additional ERV to open up Mars landing site number three. Thus every other year two heavy lift boosters are launched, one to land a crew, and the other to prepare a site for the next mission, for an average launch rate of just one booster per year to pursue a continuing program of Mars exploration. This is only about 10% of the U.S. launch capability, and is clearly affordable. In effect, this “live off the land” approach removes the manned Mars mission from the realm of mega-fantasy and reduces it to practice as a task of comparable difficulty to that faced in launching the Apollo missions to the Moon. The crew will stay on the surface for one and a half years, taking advantage of the mobility afforded by the high-powered, chemically driven ground vehicles to accomplish a great deal of surface exploration. With a 12-tonne surface fuel stockpile, they have the capability for over 14,000 miles worth of traverse before they leave, giving them the kind of mobility necessary to conduct a serious search for evidence of past or present life on Mars — an investigation key to revealing whether life is a phenomenon unique to Earth or general throughout the universe. 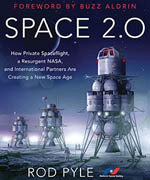 Since no one has been left in orbit, the entire crew will have available to them the natural gravity and protection against cosmic rays and solar radiation afforded by the Martian environment, and thus there will not be the strong driver for a quick return to Earth that plagues conventional Mars mission plans based upon orbiting mother-ships with small landing parties. At the conclusion of their stay, the crew returns to Earth in a direct flight from the Martian surface in the ERV. As the series of missions progresses, a string of small bases is left behind on the Martian surface, opening up broad stretches of territory to human cognizance. In essence, by taking advantage of the most obvious local resource available on Mars — its atmosphere — the plan allows us to accomplish a manned Mars mission with what amounts to a lunar-class transportation system. By eliminating any requirement to introduce a new order of technology and complexity of operations beyond those needed for lunar transportation to accomplish piloted Mars missions, the plan can reduce costs by an order of magnitude and advance the schedule for the human exploration of Mars by a generation. Exploring Mars requires no miraculous new technologies, no orbiting spaceports, and no gigantic interplanetary space cruisers. We can establish our first small outpost on Mars within a decade. We and not some future generation can have the eternal honor of being the first pioneers of this new world for humanity. All that’s needed is present-day technology, some 19th century industrial chemistry, and a little bit of moxie. The question of colonizing Mars is not fundamentally one of transportation. If we were to use the same heavy lift boosters used in the Mars Direct plan to launch people to Mars on one-way trips, firing them off at the same rate we currently launch the space shuttle, the United States today could populate Mars at a rate comparable to that at which the British colonized North America in the 1600s — and at lower expense relative to our resources. No, the problem of colonizing Mars is not that of moving large numbers to the Red Planet, but of the ability to use Martian resources to support an expanding population once they are there. The technologies required to do this will be developed at the first Mars base, which will thus act as the beachhead for the wave of immigrants to follow. Initial Mars Direct exploration missions approach Mars in a manner analogous to terrestrial hunter-gatherers, and utilize only its most readily available resource, the atmosphere, to meet the basic needs of fuel and oxygen. In contrast, a permanently staffed base will approach Mars from the standpoint of agricultural and industrial society. It will develop techniques for extracting water out of the soil, for conducting increasingly large-scale greenhouse agriculture, for making ceramics, metals, glasses and plastics out of local materials, and constructing large pressurized structures for human habitation and industrial and agricultural activity. Over time, the base will transform itself into a small town. The high cost of transportation between Earth and Mars will provide a strong financial incentive to find astronauts willing to extend their surface stay beyond the basic one and a half year tour of duty, to four years, six years, and more. Experiments have already been done showing that plants can be grown in greenhouses filled with CO2, at Martian pressures; the Martian settlers will thus be able to set up large inflatable greenhouses to provide the food required to feed an expanding resident population. Mobile microwave units will be used to extract water from Mars’ abundant permafrost, supporting such agriculture and making possible the manufacture of large amounts of brick and concrete, the key materials required to build large pressurized structures. While the base will start as an interconnected network of Mars Direct style “tuna can” habitats, by its second decade the settlers could live in brick-and concrete-built pressurized domains the size of shopping malls. Not too long afterwards, the expanding local industrial activity will make possible a vast expansion in living space by manufacturing large supplies of high-strength plastics like kevlar and spectra that will allow the creation of inflatable domes encompassing Sun-lit pressurized areas up to 100 meters in diameter. Each new reactor landed will add to the power supply, as will locally produced solar panels and windmills. However because Mars has been volcanically active in the recent geological past, it is also highly probable that hot underground hydrothermal reservoirs exist on the Red Planet. Once such reservoirs are found, they can be used to supply the settlers with abundant supplies of both water and geothermal power. As more people steadily arrive and stay longer before they leave, the population of the town will grow. In the course of things, children will be born, and families raised on Mars, the first true colonists of a new branch of human civilization. While the initial exploration and base-building activities on Mars can be supported by government largess, a true colony must eventually become economically self-supporting. The Mars colony will be able to do this by exporting both ideas and materials. Just as the labor shortage prevalent in colonial and 19th century America drove the creation of Yankee Ingenuity’s flood of inventions, so the conditions of extreme labor shortage combined with a technological culture and the unacceptability of impractical legislative constraints against innovation will drive Martian ingenuity to produce wave after wave of invention in energy production, automation and robotics, biotechnology, and other areas. These inventions, licensed on Earth, will finance Mars even as they revolutionize and advance terrestrial living standards as forcefully as 19th century American invention changed Europe and ultimately the rest of the world as well. In addition to inventions though, Mars may also be able to export minerals. Like the Earth, Mars has had a complex geologic history, sufficient to form rich mineral ores. Unlike the Earth, however, Mars has not had people on it for the past 5,000 years scavenging all the readily available rich mineral deposits to be found on its surface. Rich, untapped mineral deposits of gold, silver, uranium, platinum, palladium, and other precious metals may all exist on the Martian surface. Even at this early date in its exploration, however, Mars is already known to possess a vital resource that could someday represent a commercial export. Deuterium, the heavy isotope of hydrogen currently valued at $10,000 per kilogram, is five times more common on Mars than it is on Earth. Deuterium has its applications today, but it is also the basic fuel for fusion reactors, and in the future when such systems come into play as a major foundation of Earth’s energy economy, the market for deuterium will expand greatly. Martian colonists will be able to use rocket hoppers using locally produced propellants to lift such resources from the Martian surface to Mars’ moon Phobos, where an electromagnetic catapult can be enplaced capable of firing the cargo off to Earth for export. Alternatively, on Mars it will also be possible to build a “skyhook” consisting of a cable whose center of mass is located at a distance from which it will orbit the planet in synchrony with Mars’ daily rotation. To an observer on the Martian surface such cables will appear to stand motionless, allowing payloads to be delivered to space via cable car. Because of strength of materials limits, such systems cannot be built on Earth, but in Mars’ 3/8 gravity they may well be feasible. If so, they would give the Mars colonists the unique ability not merely to transport goods to Earth, but to access the resources present throughout the rest of the solar system. Mars will become the central base and port of call for exploration and commerce heading out to the asteroid belt, the outer solar system, and beyond. Life in the initial Mars settlements will be harder than life on Earth for most people, but life in the first North American colonies was much harder than life in Europe as well. People will go to Mars for many of the same reasons they went to colonial America: because they want to make a mark, or to make a new start, or because they are members of groups who are persecuted on Earth, or because they are members of groups who want to create a society according to their own principles. Many kinds of people will go, with many kinds of skills, but all who go will be people who are willing to take a chance to do something important with their lives. Out of such people are great projects made and great causes won. Aided by ever advancing technology, such people can transform a planet and bring a dead world to life. —Walter Prescott Webb, The Great Frontier, 1951. Western humanist civilization, as we know and value it today, was born in expansion, grew in expansion, and can only exist in a dynamic expanding state. While some form of human society might persist in a non-expanding world, that society will not feature freedom, creativity, individuality, or progress, and placing no value on those aspects of humanity that differentiate us from animals it will place no value on human rights or human life either. Such a dismal future might seem an outrageous prediction, except for the fact that for nearly all of its history most of humanity has been forced to endure static modes of social organization, and the experience has not been a happy one. Free societies are the exception in human history, they have only existed during the four centuries of frontier expansion of the West. That history is now over, the frontier that was opened by the voyage of Christopher Columbus is now closed. If the era of western humanist society is not to be seen by future historians as some kind of transitory golden age, a brief shining moment in an otherwise endless chronicle of human misery, then a new frontier must be opened. Humanity needs Mars. An open frontier on Mars will allow for the preservation of cultural diversity which must vanish within the single global society that is rapidly being created on Earth. The necessity of life on Mars will create a strong driver for technological progress that will produce a flood of innovations that will upset any tendency towards technological stagnation on the mother planet. The labor shortage that will exist on Mars will function in much the same way as the labor shortage did in 19th-century America; driving not only technological but social innovation, increasing pay and public education, and in every way setting a new standard for a higher form of humanist civilization. Martian settlers, building new cities, defining new laws and customs, and ultimately transforming their planet will know sensuously, and prove to all outside observers, that human beings are the makers of their world, and not merely its inhabitants. By doing so they will reaffirm in the most powerful way possible the humanist notion of the dignity and value of mankind. Robert Zubrin is former Chairman of the National Space Society, President of the Mars Society, and author of The Case For Mars: The Plan to Settle the Red Planet and Why We Must.